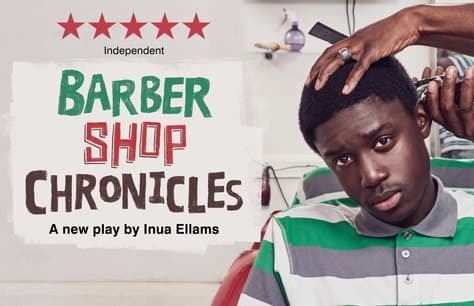 Nigerian-born playwright Inua Ellams takes his Barber Shop Chronicles back to London after a hit run at the National Theatre. For generations, African men have gathered in barber shops. Sometimes they have haircuts, sometimes they listen, more often than not they talk. Barber shops are confession boxes, political platforms, preacher-pulpits and football pitches... places to go for unofficial advice, and to keep in touch with the world.